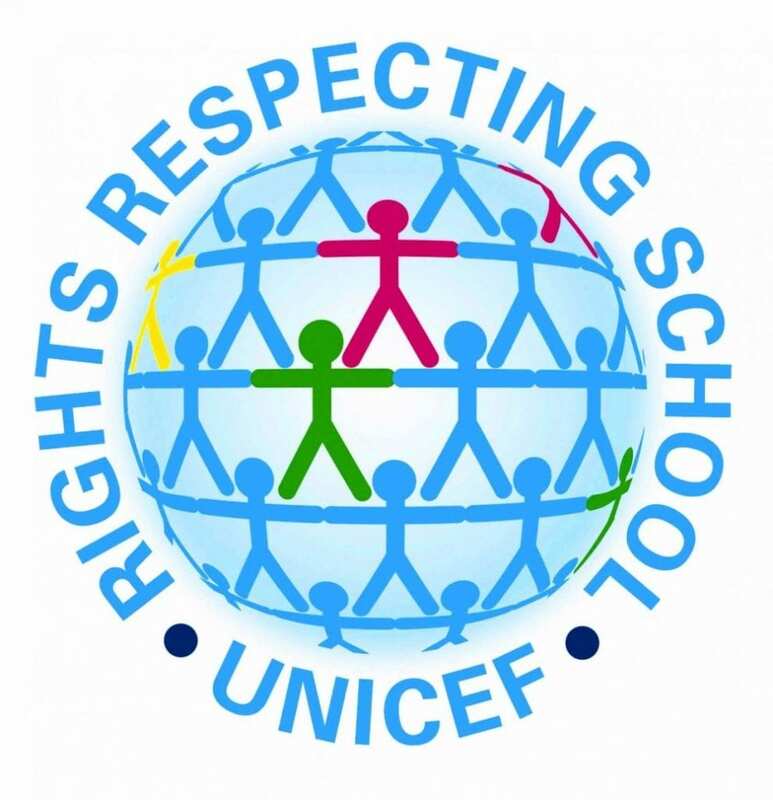 We are proud to have worked towards becoming recognised as an Educate and Celebrate best practice school and are delighted to have gained the silver award. 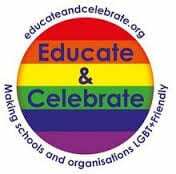 We aim to make our school a safe and inclusive environment for all and to ensure equality and respect for the LGBT community. 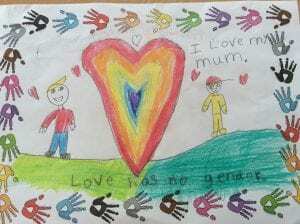 The children have started work on different families. They have learned that not all families are the same but that all are important. Love is what matters most! Class 1 have read a book called Tango Makes Three which is about 2 male penguins who hatch an egg and raise a chick together. 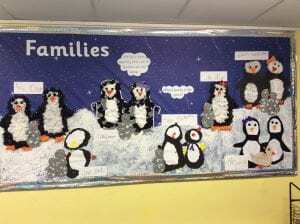 They have then produced a lovely display about different families using penguins instead of people. To celebrate LGBT history month, we held an LGBT equality day where we devoted a whole day to broadening our knowledge, showing our support and committing to equality for all! 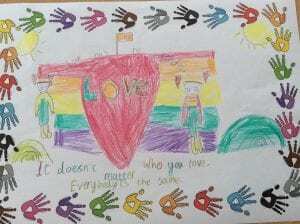 Each child made a coloured handprint to add to this rainbow. 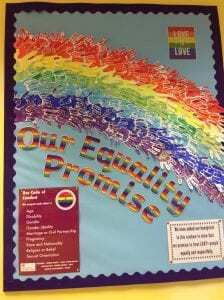 This represented us all making a promise that we would treat people from the LGBT+ community equally and with respect. 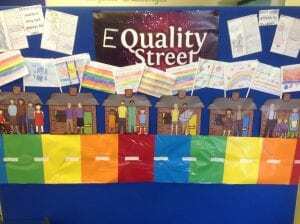 Class 3 produced a display which represented different families and gave the message that all families are equal and important. Class 4 discussed appropriate language choices and how using offensive words can hurt others. They then produced an acceptable language charter which was agreed upon by the whole class. 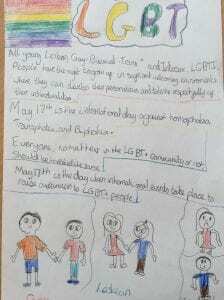 Class 4 were presented with different scenarios and debated how it would be best to help and support the LGBT+ people in each case. The children really impressed us with their supportive and caring attitudes. 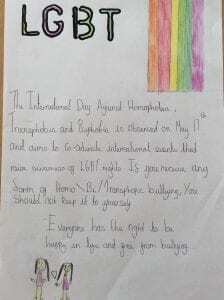 Wednesday 17th May was IDAHOBIT (International Day Against Homophobic, Biphobic and Transphobic Bullying). 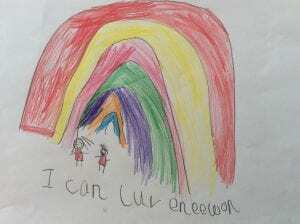 The children came to school dressed in rainbow clothes to show their commitment to eradicating these forms of bullying. 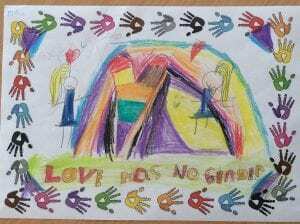 Class 1 and 2 made some posters giving the message that it doesn’t matter who we love. 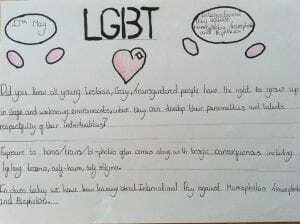 Class 4 completed some research in class on the effects of bullying on LGBT+ young people. 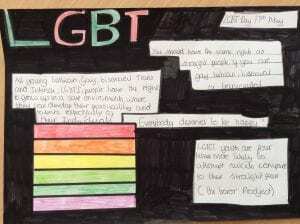 To watch our Equality video please click on the play button below. 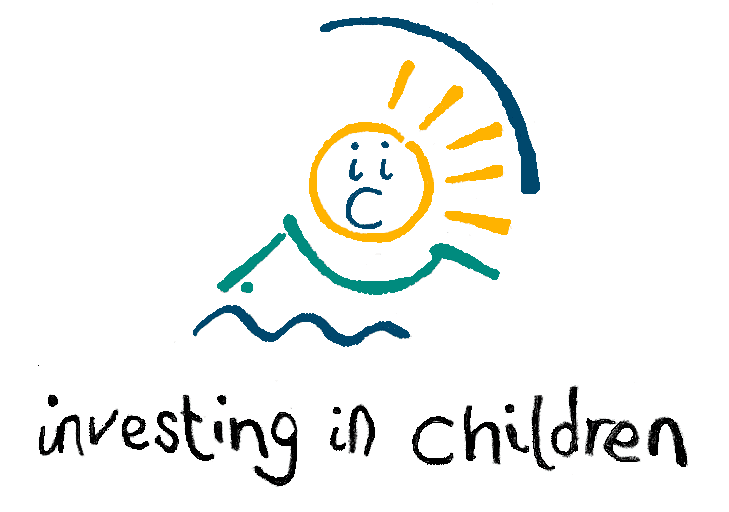 For more information about the programme please follow this link.